Such Protective Yantras were most popular in the middle ages when travel was dangerous because people had to cross jungles, infested with wild beasts, like tigers, leopards, crocodiles and other carnivores to reach their destination. Protective Yantras, Mantra and Tantras gave them the supernatural protection to safeguard their lives against wild beasts, dacoits and other hostile elements. The easy procedure of using this protective charm, which does not need any kind of Mantra Infusion and can be be used immediately is give below. 1] The Beej Mantra – ह्रीं should be written on the palm of your hand with your own spit using a small pointed stick. This means that the – ह्रीं will be invisible to the naked eye. 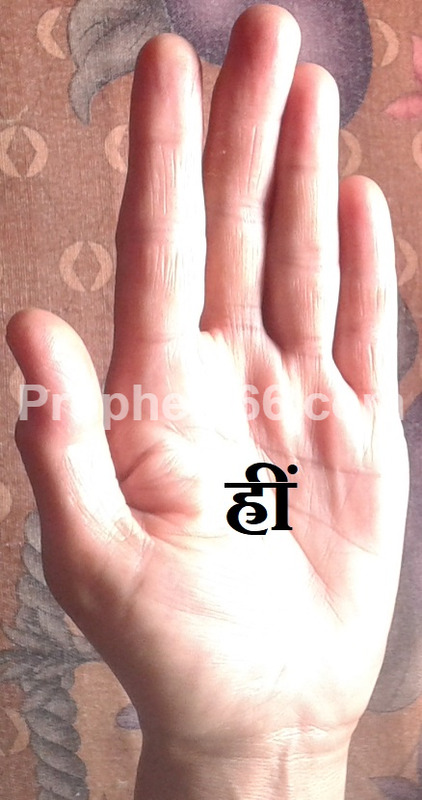 2] Then, a little bit of the blood of your Animaka Ungli or Ring Finger should be applied around the invisible – ह्रीं. This completes the protective charm, which as per the writings of the Tantra will keep you safe from all kinds of carnivorous animals and reptiles. Can this charm be used to protect oneself while playing with lions and tigers? Is there a mantra sadhana to get protection from such wild animals?